Hey buuuuuddy… come on over for a slumber party this week! 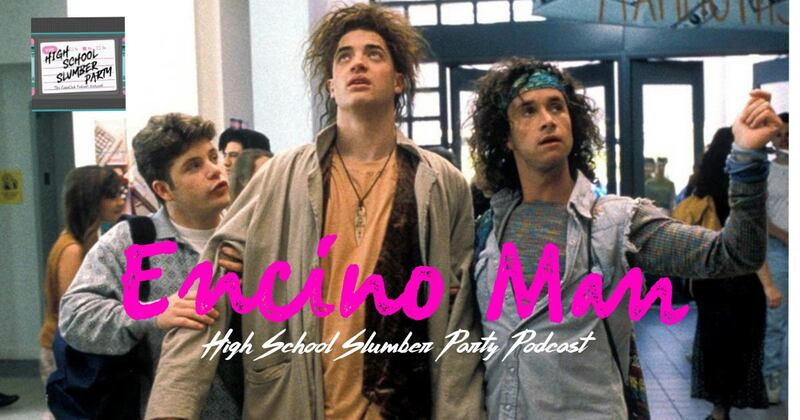 Brian is joined by two high school classmates, Kyle Reinfried (host of Foodie Films on the CageClub Podcast network) and returning guest Dan Ferrera, to talk about Encino Man, a film starring Sean Astin, Brendan Fraser, and (of course!) Pauly Shore. Brian and his friends have a ton of fun discussing caveman makeovers, wheezing the juice, and unsympathetic protagonists, all while doing a good percentage of the show as a Pauly Shore impression.